There are many varieties of lettuce, but they all share one thing in common: they are commonly enjoyed in many raw salads. Their delicate, clean flavour allows them to be paired with a range of other ingredients, from vegetables and fruits, to nuts, seeds and cheese. The texture varies depending on the type. 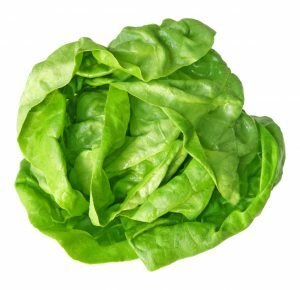 Crisp lettuce is a welcome addition to soft sandwiches and wraps, while softer leaves can be used as a substitute for bread in some dishes. There are several hundred varieties of lettuce grown throughout the world. Here are a few of the most popular types in Canada. Bibb and Boston are types of butter lettuce. Butter lettuce originated in the Mediterranean, and Bibb and Boston are the most common varieties found in North America. Boston leaves are wider and lighter green, while Bibbs are slightly smaller and range from green to rose-tipped leaves. While these are different varieties, they typically boast the same texture, flavour and appearance. They are both prised for their creamy texture, mellow sweet flavour, and ruffled green leaves. These soft lettuces are a favourite for sandwiches, salads, or wraps. Romaine lettuce leaves are long and oblong in shape. Its outer leaves are leafy green and its inner leaves tend to be pale and crisp. Romaine is a powerhouse for nutrients. 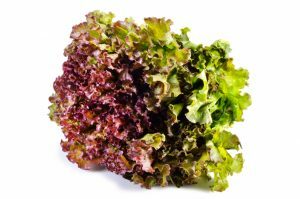 Its robust and sturdy texture makes it a popular choice for salads or lettuce leaf appetizers. Romaine is a household favourite! Leaf lettuce is a beautifully ruffled and leafy lettuce that provides a wonderful, buttery texture and mild flavour. 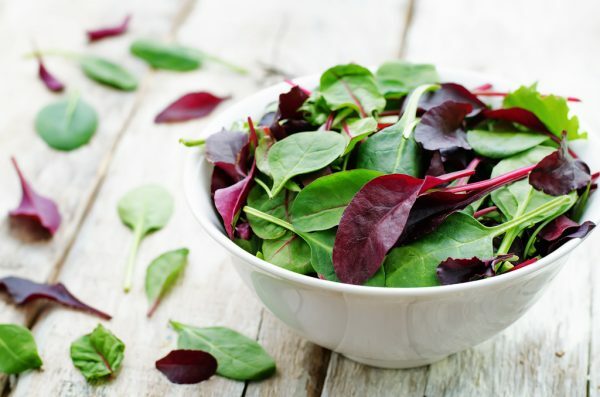 Both red and green varieties are full of nutrients, with the red leaf providing a little deeper flavour and processing slight variations in nutrition from its green leafed cousin. Most commonly used for wraps or sandwiches, green and red lettuce is touted for it’s beautiful texture and appearance. Iceberg lettuce used to be the king of lettuces, due to their sturdy nature and ability to stay fresh. 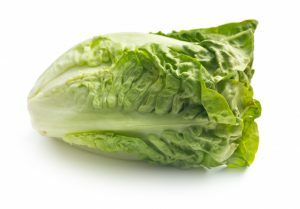 However, with modern technological advancements for food transportation, iceberg lettuce has had to share the limelight with contemporary green favourites such as romaine and kale. Although some say that iceberg is not as nutrient dense as romaine, it does provide some Vitamin A, potassium, and dietary fibre. Iceberg is great for salads, wraps, hamburgers, and sandwiches due to its crunchy texture and mild flavour. It has a long lasting shelf life and is a great way to eat more veggies! Because the leaves are more tightly packed than their leafy counterparts, you don’t need to wash the inner leaves. Simply peel off the outer ones you don’t want to eat and all you need to do is slice and eat! Counterparts, you don’t need to wash the inner leaves. Simply peel off the outer ones you don’t want to eat and all you need to do is slice and eat! When shopping for lettuce, look for compact and crisp leaves with no discolouration. Avoid purchasing heads of that have wilted leaves, blemishes or have oxidization around the stem or outer leaves. Unfortunately, lettuce is one of the most commonly wasted foods because people don’t know how to store it properly, or they forget about it in their fridge. Lettuce will last longer in your fridge if stored properly. Also, if you clean and prepare it as soon as you bring it home, you will be more likely to eat it because it will be ready to enjoy whenever you want. Separate the leaves, removing and discarding the core (if there is one). Then place the leaves into a sink or bowl of cold water. Swish the leaves around to dislodge any dirt of grit that may be caught in between the leaves. Lift them out of the water and shake gently to remove excess water. Drain the lettuce, then use paper towel, or a salad spinner, to remove all traces of moisture before storing. Place in a clean and dry airtight plastic bag with a sheet of paper towel (to help absorb moisture), and store in the fridge for up to a week. Lettuce is best enjoyed fresh, so it is not recommended to freeze. The method for preparing lettuce is similar for all varieties except for iceberg. If you already separated and washed your leaves prior to storing, you’re ready to use the lettuce in any recipe. If not, you will need to prepare the lettuce by tearing the leaves from the stem and/or removing the core (depending on the type) to separate the leaves. Wash leaves thoroughly in cold water to remove any dirt. Use a salad spinner to remove all water or use a clean dishcloth to blot the leaves dry. Use a knife or tear the leaves into whatever size desired. It is recommended that you cut or tear the leaves into their desired size just prior to use. 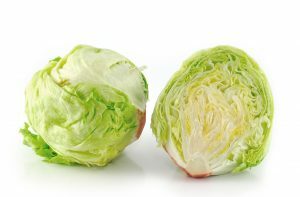 Some advocate that tearing or cutting it with a plastic lettuce knife will help to prevent browning on the edges, but not everyone agrees that this is reliable; generally cut or torn lettuce will brown faster than full leaves. Prep your lettuce when you get it home so it is convenient to eat! Make stacked salads with dressing on the bottom and greens on the top for an easy on-the-go salad! If you ever get overwhelmed by the amount of greens you have, rethink the way you approach eating veggies! Instead of eating a head of lettuce all at once, eat 3-4 leaves at a time for sandwiches, or enjoy small salads over several days. 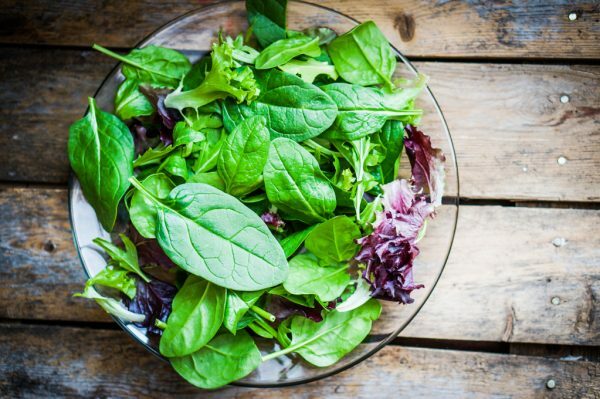 You can use a salad spinner to wash your greens. Fill the mesh bowl with salad and wash the greens right in with the salad spinner. Spin to swish around a couple times, and pour out. It’s smaller than your sink and you may also save some water in the process. 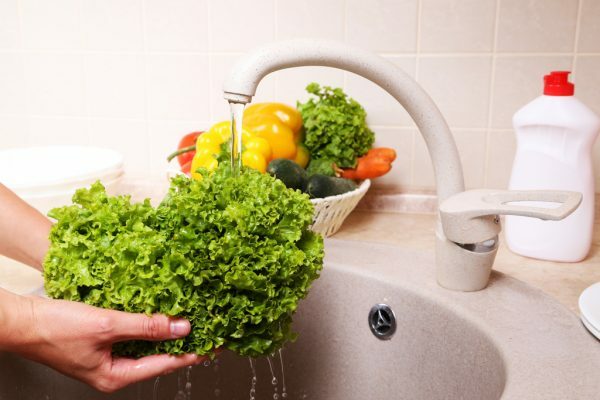 To revitalize limp lettuce, fill a large bowl or clean sink with ice water and soak your lettuce until it looks crisp. This may take 20 to 30 minutes. Create a restaurant experience at home! Prepare one whole iceberg lettuce by removing the outer layers and removing the core. 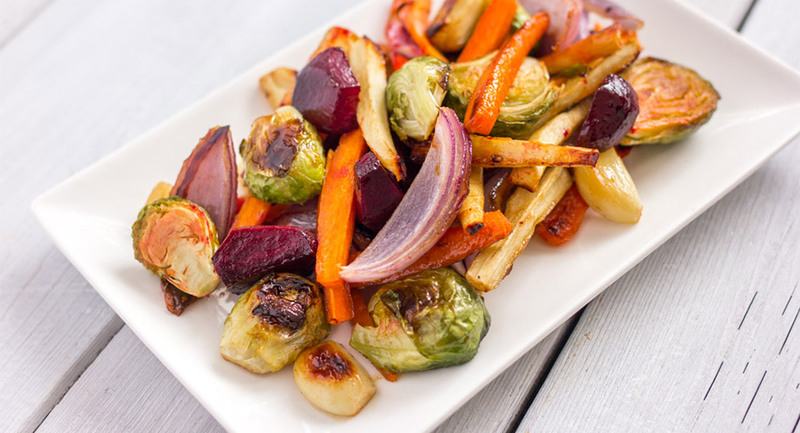 Cut into four or six wedges and place on a salad plate. Top with a blue cheese dressing and a crumble of blue cheese and chopped walnuts. Simple, elegant and delicious! If you don’t think you can finish off a whole wedge salad, try making these adorable mini ones from Damn Delicious! You don’t have to limit yourself to salads. Why not try enjoying your lettuce greens in new and exciting ways? 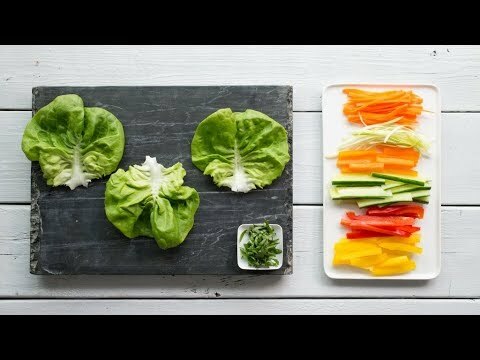 Try this recipe for Lettuce Wraps to show off the delicate flavour and creamy texture of Boston leaf lettuce. Or make a few lettuce boats with romaine for an eye-catching appetizer at your next party. Even though we shared different varieties of lettuce this week, we’re featuring the nutrition of romaine lettuce, since it’s such a nutritional powerhouse! 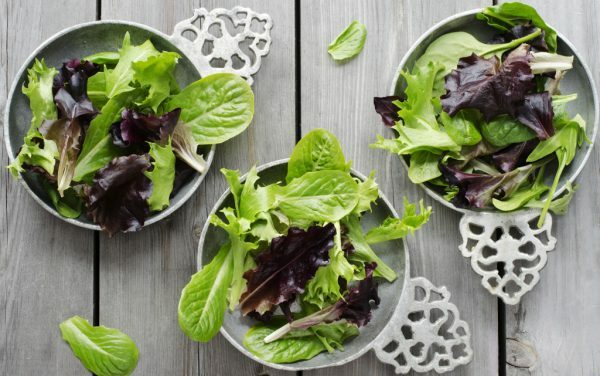 According to the Canadian Nutrient File, 100 g of romaine lettuce contains a great number of your daily-recommended intake of nutrients: 130% of vitamin A, 127% of vitamin K, 40% of vitamin C, 8% of fibre (2.1 g), 7% of iron, 7% of potassium, 5% of magnesium, and 2312 µg of the antioxidants lutein and zeaxanthin. Talk about healthy!